Hard to believe, but the go-to-diet for the stars claims they're done with celebrity endorsements because everyone keeps confusing their competitor's commercials with theirs. 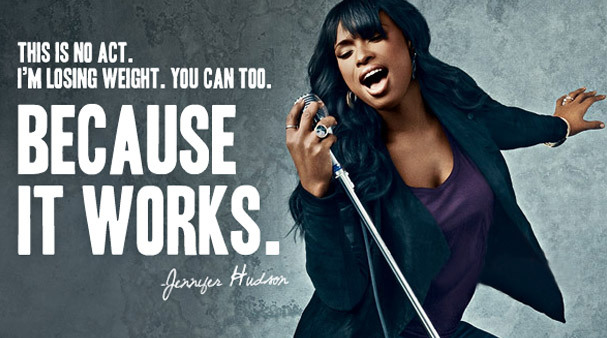 According to Ad Age, CMO Leesa Eichberger had been bombarded with praise over recent ads featuring Jennifer Hudson (like the one above). The only problem was that the singer is actually a spokesperson for Weight Watchers, which is the company's direct competitor.